"He was a touchstone to my own self-acceptance and authenticity." 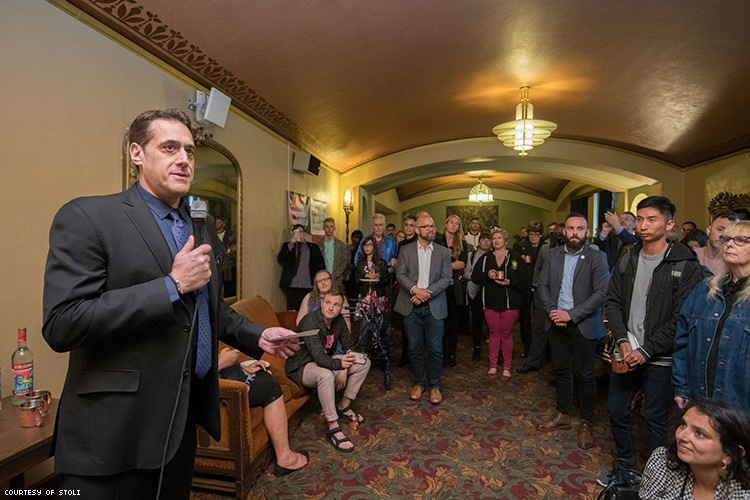 This past Tuesday, on Harvey Milk Day, The Advocate had the pleasure of speaking to Stuart Milk, the co-founder of the Harvey Milk Foundation. Like his uncle, Stuart has dedicated his life to the LGBTQ community, with the same hopes of increasing LGBTQ visibility and acceptance across the globe. 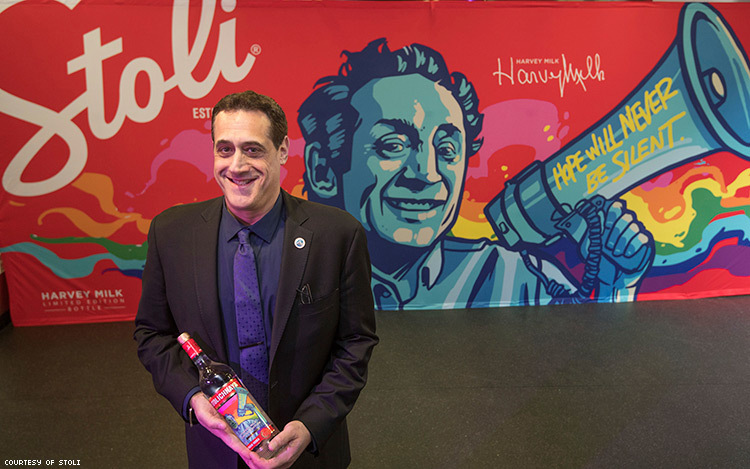 Stoli also released a limited edition bottle with the mural image of Harvey Milk, and will be making a charitable donation to the Harvey Milk Foundation. 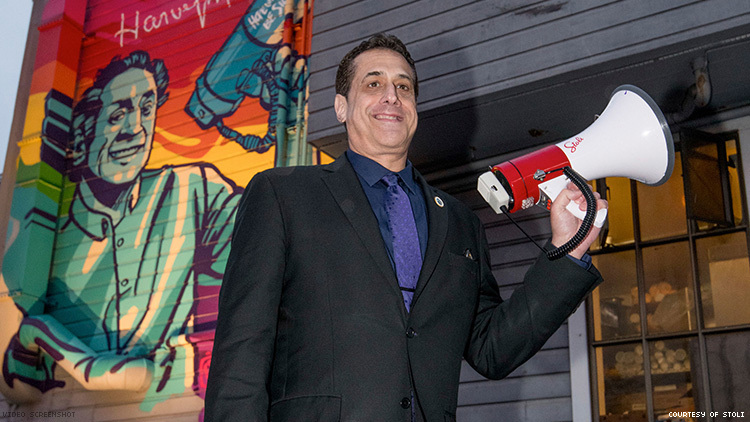 Stuart Milk sat down with The Advocate to discuss the Harvey Milk Foundation, and what it means that Stoli is honoring his uncle’s legacy four decades after his assassination. The Advocate: What’s the first thing that comes to your mind when you think of your uncle? But also, as a gay man myself, he’s an important part of our broader LGBT family. So what comes to mind, especially when I’m in SF, is that he’s not here. For instance, I took Patrick [Stoli’s LGBT ambassador] into the space that was his office. It’s where he worked and accomplished so much, but it’s also where he was killed. To this day, whenever I think about his loss, I think about the 17-year-old me, which is how old I was when he was killed. What goes through your mind when you enter his office, like you did today? His courage. We have copies of his death threats. You have to realize that when he began running for public office, it was illegal in California to be LGBT. It was still considered a mental illness by the American Psychiatric Association. And he was not just running, he was telling people to be out. To join him in being visible, which nobody was. So I’d say his courage, [because] he didn’t know when, he didn’t know how, but he knew he was going to be killed. In fact, we have two letters. One to me and my brother, and one to my family, saying, “I’m not going to make it to the next year.” His dream was the bullet that killed him [would also] destroy the mask for LGBT people, and anyone who feels forced to hide who they are. 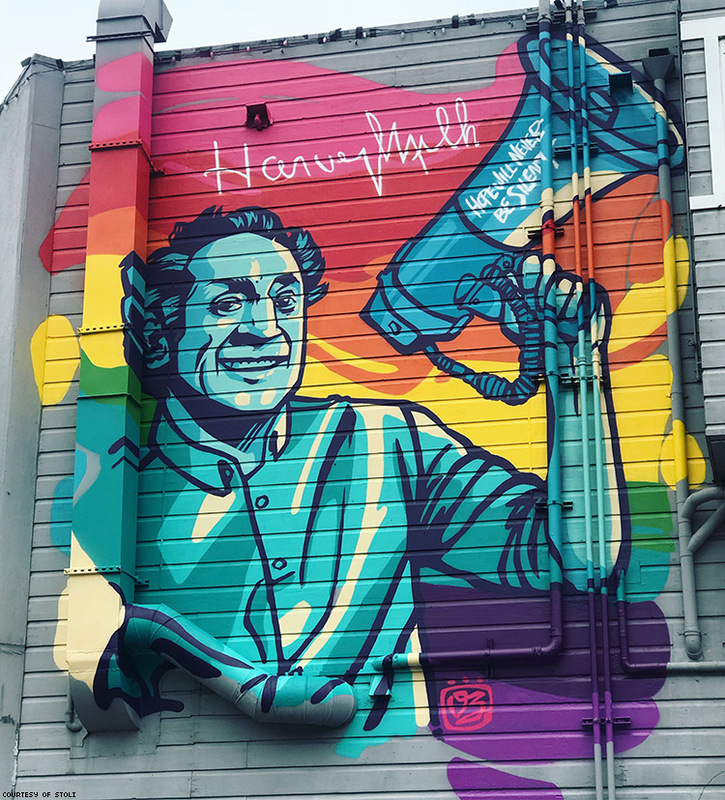 Where is the Harvey Milk Foundation going now with our new president? We do so much work in environments that are as bad or worse than what we have here. We’ve done work in Hungary over the past decade, where [Prime Minister] Viktor Orban is everything Donald Trump wants to be. He’s taken away the rights of the constitutional court in Hungary. He’s taken the rights away from the Roma community and made them half citizens. We’ve seen this type of ultra-nationalist "divide and conquer" movement throughout the world. What do you think your uncle would think about having an image of his face on the Stoli bottle? I think he’d be particularly proud that his face was on a Latvian product — a country that’s still struggling for LGBT rights. And that this company understands the power of visibility. At the core, that was my uncle’s message. The reason that we did not have LGBT rights was because the lies, myths, and innuendos about our community could be maintained and sustained because nobody knew anyone who was LGBT. So this is really an issue of visibility, and I think Stoli gets that. They’ve supported Pride’s around the world, when other companies won’t. I think Patrick understands that our original community centers were LGBT bars and clubs. Before Grindr and all that stuff, that was the only place we had to meet each other. That’s the place we would go, and in a lot of the world, it still is. So I think Stoli recognizes that and is celebrating those spaces. I love the bottle. The [image of the mural] has been the background of my Facebook page for a while, ever since the Paraguay LGBT center [the original home to the Milk mural] decided to use his image. In a lot of places where it’s difficult to be LGBT, Harvey’s story and message still inspires hope. It’s even more important there than in the U.S.